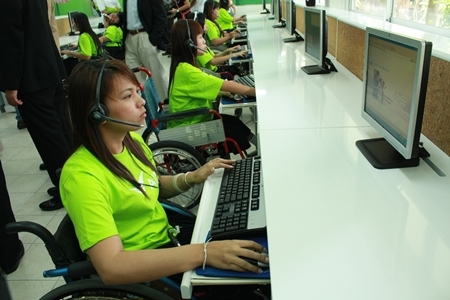 Eight Pattaya disabled students landed jobs when the Father Ray Foundation joined Advanced Information Services’ call center employment program. 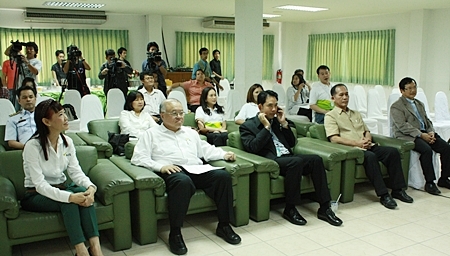 Father Ray Vice President Rev. 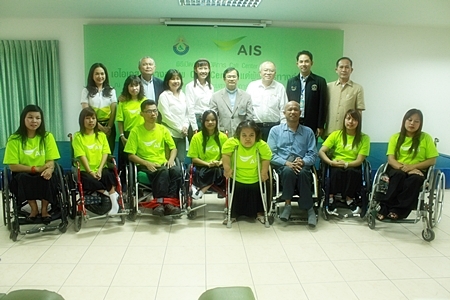 Michael Picharn Jaiseri and AIS CEO Vichian Mekhtrajarn announced the expansion of the telecom provider’s nationwide program to accept the eight students from the Redemptorist Vocational School for People with Disabilities March 16. 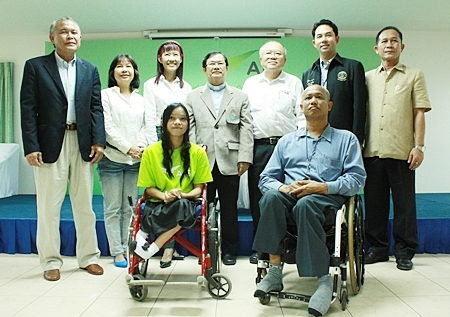 The eight new employees pose with their new bosses and friends during the announcement. 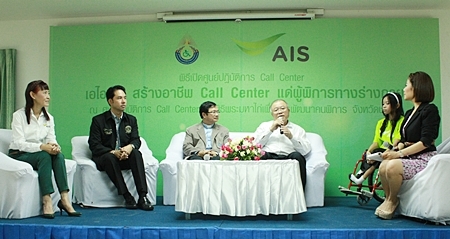 Vichian said the AIS call center was launched in 2008 and has 21 from the Thailand Foundation for the Blind, eight from the Chiang Mai School for the Blind and eight deaf workers from the AIS’s Bangkok office.